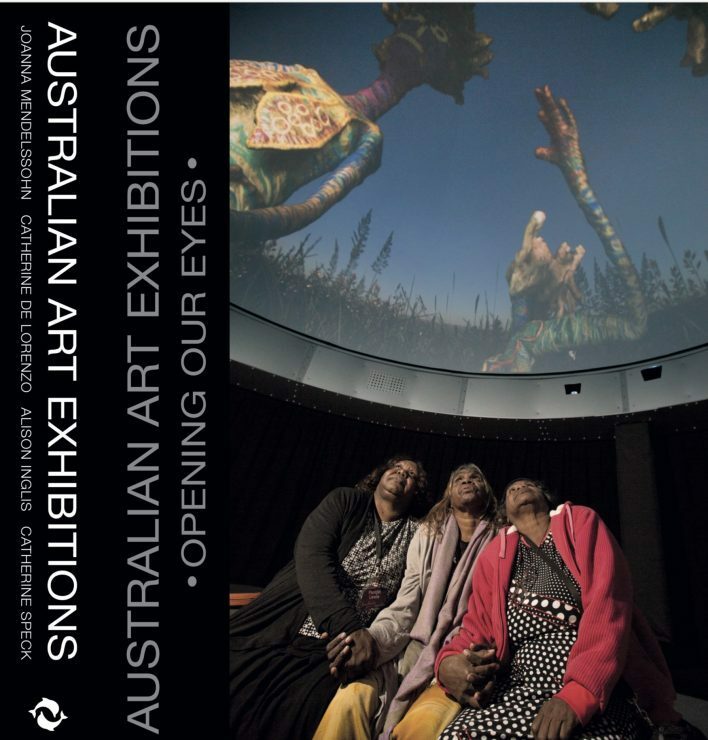 Cover of Australian Art Exhibitions: Opening Our Eyes by Joanna Mendelssohn, Catherine De Lorenzo, Alison Inglis and Catherine Speck, published by Thames and Hudson, 2018. 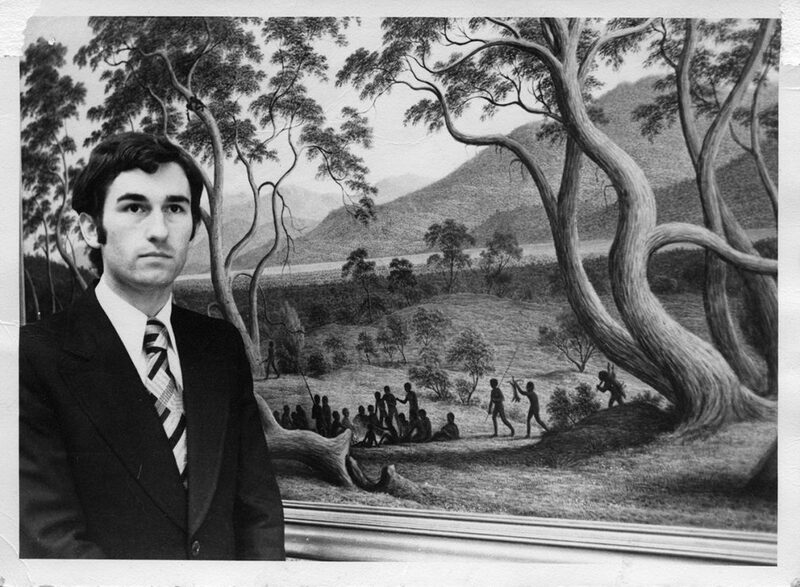 John McPhee at the opening of the John Glover exhibition, Queen Victoria Museum and Art Gallery, Launceston, November 1977. Photo: courtesy John McPhee. 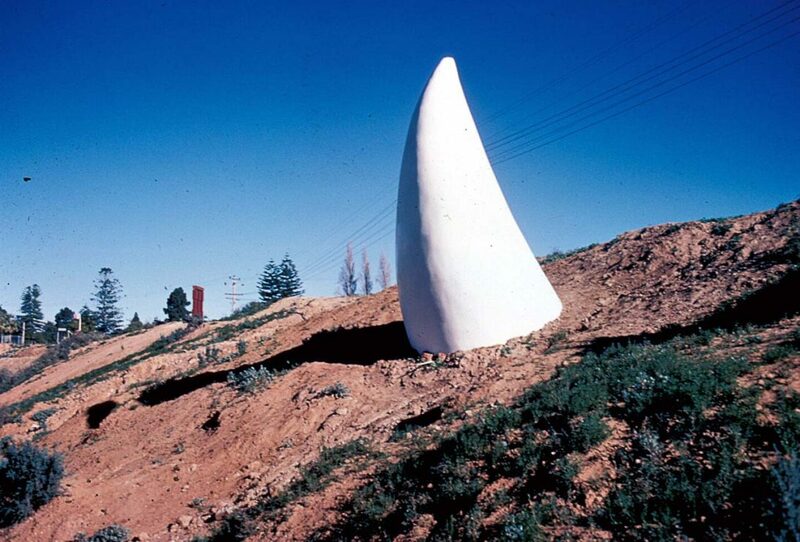 Ewa Pachucka, Horn, 1973, exhibited at Mildura Sculpturscape 73. Photo: courtesy of Art Gallery of New South Wales Archive. 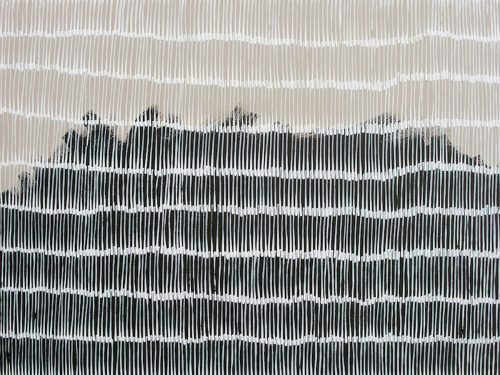 In Australian Art Exhibitions: Opening Our Eyes Joanna Mendelssohn, Catherine De Lorenzo, Alison Inglis and Catherine Speck trace the history and impact of Australian art exhibitions, from the mid 20th century to the present day. In the extract from the Introduction reproduced with permission below they note that exhibitions are a mirror of contemporary culture. Bertram Mackennal: The fifth Balnaves Foundation Sculpture Project, 2007, installation at Art Gallery of New South Wales showing Diana Wounded, 1907-08 in foreground. Photo courtesy AGNSW. Despite this retreat visual artists have joined with writers, musicians and performers to question the way in which our country, and the world, is moving. This study focuses specifically on the visual arts and how art exhibitions echoed the changes that were happening–in some cases prophesying them. In undertaking this project we have uncovered different histories hiding in plain sight. While many Australian art museums can track their origins to the 19th century, the kind of art exhibitions we now take for granted are much more recent. Exhibitions are ‘part spectacle, part socio-historical event, and part structuring device’, but their role and function is to ‘establish and administer the cultural meanings of art’. (3) Those who enabled modern art museums to show exhibitions are the directors, curators, registrars, exhibition officers, educators and public programs staff. These are the magicians who have changed forever our cultural landscape. This book then is a history of a time when the act of viewing art came to matter to many Australians. Exhibitions, which are almost always a collaborative exercise, are the events that both reveal the art of the past, and give an understanding of the present in ways that words rarely can. The term ‘curator’ is not without its complexities. 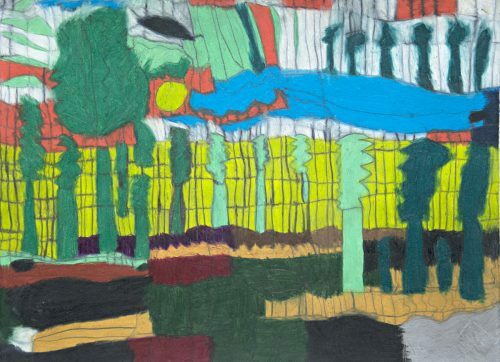 An exhibition might start where written histories have stopped and explore the artists left out of earlier narratives as was the case with Ian North’s landmark exhibition of the work of Dorrit Black in 1975. They might challenge what is shown in art museums as did anthropologists Ronald and Catherine Berndt in 1957 and Charles Mountford in 1960, along with Tony Tuckson the same year, when they curated significant exhibitions of Aboriginal art. Exhibitions can also extend art historical knowledge and understanding such as Anne Gray’s 2009 exhibition McCubbin: Last Impressions 1907-17 which took his painting out of its neat Heidelberg box to show his late work as highly coloured, light-filled, loosely painterly – including urban subjects as well as bush landscape. Other exhibitions function as socially critical documents such as the confronting National Gallery of Australia (NGA) exhibition Don’t Leave Me This Way: Art in the Age of Aids, shown in 1994 as a public expression of grief. Installation view of Don’t leave me this way: Art in the age of AIDS, 1995, National Gallery of Australia, showing works by Arthur McIntyre, David Wojnarowicz, Duane Michals, eX de Medici, Christopher Pekoc, Keith Haring. Courtesy National Gallery of Australia. Australian Art Exhibitions: Opening Our Eyes is available from Thames and Hudson and all good bookstores. 1. A Croggon ‘Culture Crisis’, The Monthly, October 2016, p. 31. 2. AA Phillips, ‘The Cultural Cringe’, Meanjin, No 4. 1950. 3. R Greenberg, BW Ferguson & S Nairne (eds), Thinking About Exhibitions, Routledge, London, 1996, p. 2. 4. B Smith, Place Taste and Tradition: A Study in Australian Art Since 1788, OUP, Melbourne, 1945; B Smith, Australian Painting 1788-1970, OUP, Melbourne, 1962; B Smith with T Smith, Australian Painting 1788-1990, OUP, Melbourne, 1991; B Smith with T Smith & C Heathcote, Australian Painting 1788-2000, OUP, Melbourne, 2001; R Hughes, The Art of Australia, Penguin, Melbourne, 1970; C Allen, Art in Australia : From Colonization to Postmodernism, Thames & Hudson, London, 1997. 5. For example, I Burn, N Lendon, C Merewether & A Stephen, The Necessity of Australian Art, Power Publications, Sydney, 1988; T Smith, Transformations in Australian Art, Craftsman House, Sydney, 2002; and J Anderson (ed), The Cambridge Companion to Australian Art, Cambridge University Press, Cambridge, UK, 2011. 6. S Grishin, Australian Art: A History, Miegunyah, Melbourne, 2014. 7. A Sayers, ‘Curators and Australian art history: a personal view’, Journal of Art Historiography, No 4, 2011. 8. A Sayers, Australian Art, OUP, Melbourne, 2001. Although out of print, this is freely available via the NLA Open Library project. 9. D Thomas, ‘Being a curator’, Art Monthly Australia, no. 123, September 1999, p. 4; R Storr, ‘Show and tell’, in P Marincola (ed), What makes a Great Exhibition?, Philadelphia Exhibitions Initiative & Pew Centre for Arts and Heritage, Philadelphia, 2006, p. 14. 10. Thomas, ‘Being a curator’. p. 236; P O’Neill, The Culture of Curating and the Curating of Cultures, MIT Press, Cambridge, Massachusetts, 2012, pp. 10-27. 12. D Brook, Flight from the Object, p. 3. 14. These notes were written just prior to Nick Waterlow’s death in November 2009 and screened in Julie Darling’s film A curator’s last will and testament, Sydney, April 2012. Cited in T Smith, Thinking Contemporary Curating, Independent Curators International, New York, 2012, pp. 21-22. 15. A Wallach, Exhibiting Contradictions: Essays on the Art Museum in the United States, University of Massachusetts Press, Amherst, 1998, p. 121. 16. For an in depth discussion on the significance of exhibition spaces in shaping perception, see C Klonk, Spaces of Experience: Art gallery interiors from 1800 to 2000, Yale University Press, New Haven & London, 2011. For an analysis of these ideas within the Australian context, see C Speck & L Slade, ‘Art History and Exhibitions: Same or Different?’, Australian and New Zealand Journal of Art 14, no. 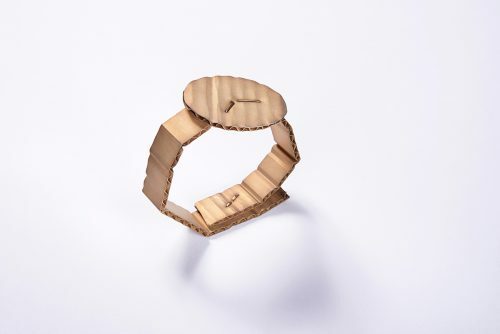 2 (2014), p.p. 141-50. 17. Australia Council for the Arts, Arts Nation: An Overview of Australian Arts, 2015 Edition, Australia Council for the Arts, Sydney, 2015, pp. 11 and 7 respectively. 18. T Morrel, ‘Howard Arkley’, Artlink, vol. 19, no. 3, 1999, p. 11.